Pentatonix are an a capella quintet from Arlington, Texas, and were the winners of the third season of "The Sing-Off" on NBC. 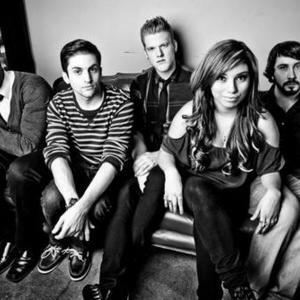 Their members are Scott Hoying (lead), Kirstie Maldonado (female lead/harmony), Mitch Grassi (harmony), Kevin Olusola (percussion), and Avi Kaplan (bass). They specialize in futuristic sounds and techno-style pop. Their name is likely a play on both the pentatonic scale and the fact that there are 5 members in the group. The group's website is: www.ptxofficial.com. The group's website is: www.ptxofficial.com.